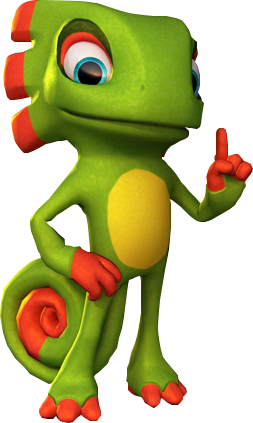 One half of the dynamic protagonist duo, Yooka is a cute chameleon who has also been referred to as "a green bloke with no pants." in his official character description. 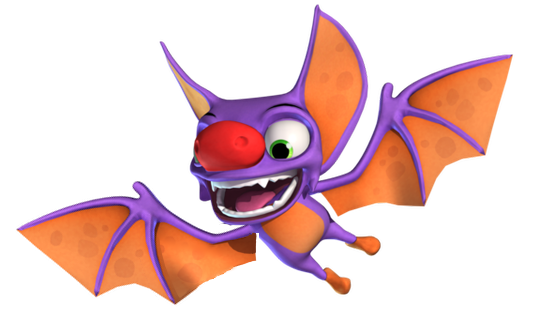 Yooka has a calming attitude which makes him the more half headed character of the duo. 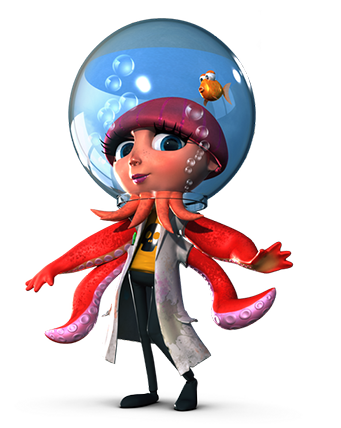 The other half of the protagonist duo, laylee is the more wise cracking and is the ying to Yooka’s yang. She often gets Yooka into trouble and find most things quite boring. If you’re a fan of sassy purple bats then Laylee is sure to be your favourite character. 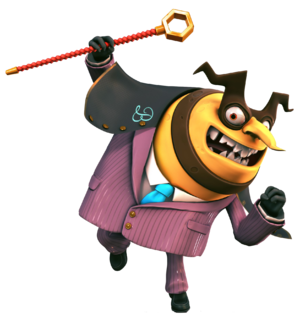 The main Antagonist in Yooka-Laylee, Capital B is a ruthless business bee who runs Hivory Towers. His main mission is to turn the world's literature into profit so that he can have the upper hand over the book industry. He is your stereotypical corrupt businessman, and will stop at nothing until he sees his bank balance tick up. 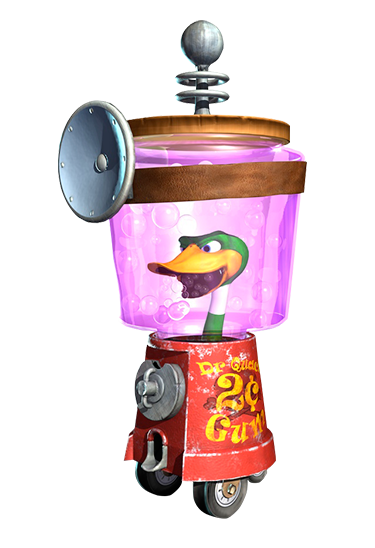 The evil head of Quack Corp, Dr. Quack works ruthlessly to meet the demands of his boss Capital B. Dr. Quack is mentally unstable and his soul purpose is to Stop Yooka and Laylee in their tracks. He also hold quizzes for the dynamic duo after each world, just to test them further. 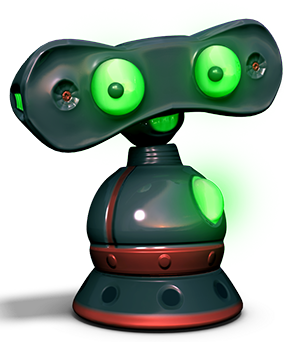 Dr. Puzz used to work for the Dr. Quack before Capital B’s evil corporation bought out Quack Corp. After Dr. Quack stole all of Puzz’s research, Dr. Puzz went on a mission of payback and now helps Yooka and Laylee to overthrow Capital B’s plan. 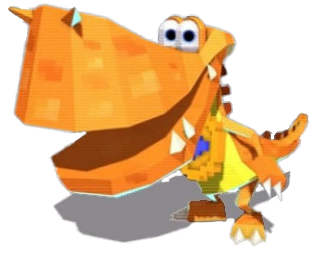 Trowzer was the first supporting NPC to be revealed by Playtonic. He is a ‘flash, wheeler dealing serpent, whose career sadly never really took off.’ Even though his career aspirations have not gone to plan, he still thinks he is the Bee’s Knees. 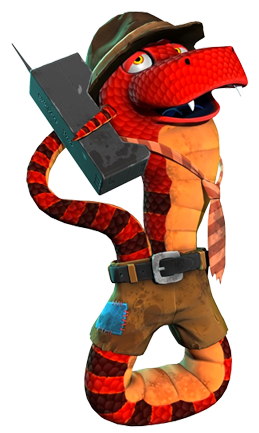 For a bit of cash (which he will count because he’s an Adder) Trowzer will teach Yooka and Laylee all the moves they need to know survive. Clara is a female skeleton who more often than not seems to get herself stuck in a variety of life threatening situations (which begs the question as to whether she had skin in the first place). Yooka and Laylee will come across her on their travels, either stuck in a trap or captured by the evil Corplets. 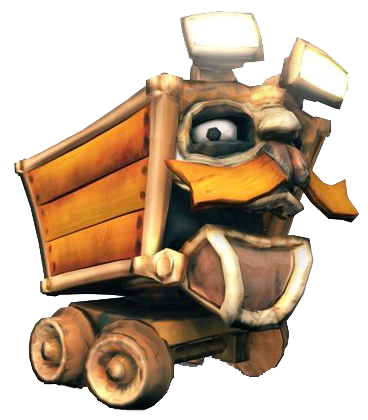 AKA ‘The God Of Ore’ it will come to no surprise that this minecart’s name is inspired by a certain Sony created greek spartan. 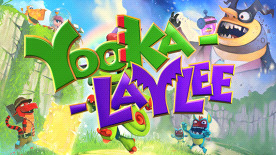 Kartos will be giving both Yooka and laylee lots of challenges in order to obtain collectables. He will also help you navigate through the side scrolling track levels. 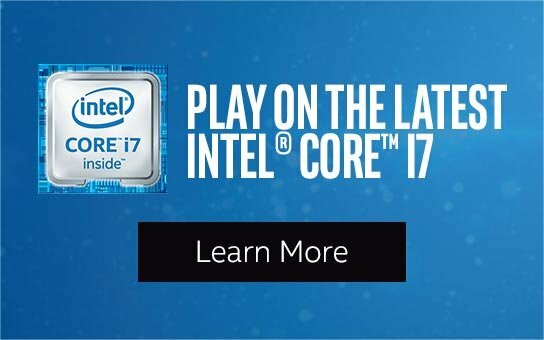 Harking back to the N64 era. Rextro is the 64 bit dinosaur that heads up the multiplayer arcade machines that are scattered across the many lands on Yooka-Laylee. He is always happy to greet players with a smile and he loves video games. You could say that Rextro is a homage to Playtonic games routs as their first games first came out on the Nintendo 64. 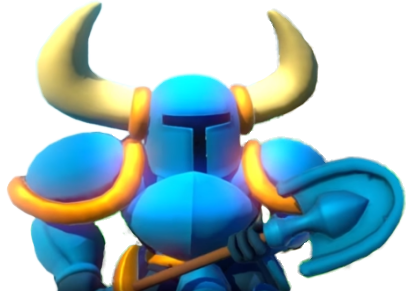 Shovel Knight is a special guest character for Yooka-Laylee. He originally appeared in his own kickstarter game entitled Shovel Knight (surprisingly) and is here to guide Yooka and Laylee on their quest. Whilst Inept is not a character in the full Yooka-Laylee game, we thought he would get a honourable mention here as he helps Yooka and Laylee in the game’s Toy Box Demo. He can be quite reckless with his ‘can’t be bothered’ attitude (to the point where he almost exterminate Yooka and Laylee at the start of the Toy Box Demo). That is just some of the colourful characters you will meet on your travels to save world literature!